The Olev lighting that follows the circadian rhythm has been chosen for the most innovative Italian research project on well-being in interiors and energy efficiency. Imagine a home where you don’t need heating or air conditioning. No matter what the weather or the season outside is, the house maintains a temperature of 21°C in Winter and 25°C in Summer. This might seem to you like a futuristic project, far from the reality of the present. Especially when you think about the huge amount of electricity and gas we use every day to reach the ideal temperature inside our houses. create the house of the future where you can live in the utmost comfort, completely disconnected from any external source. And that’s how the Biosphera project was born. 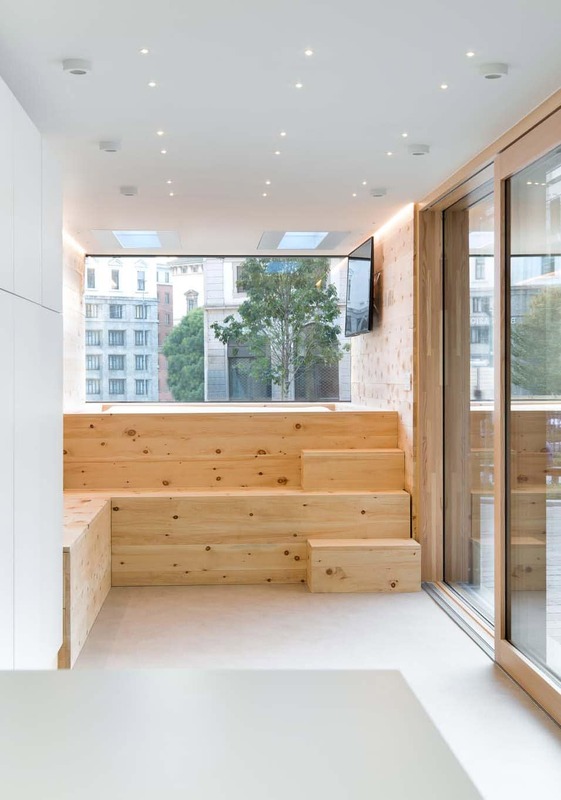 Biosphera is a “passive house”. It doesn’t need to be connected to external grids to grant normal utilities, like the bathroom, the kitchen or household appliances. It was built as an itinerant housing module, which can be transported all around the world and used even in harsh climatic conditions. In its third version, Biosphera is today a house where you can experience a constant well-being, improving your health and decreasing stress. Apart from the permanent ideal temperature, inside the Biosphera housing module you can find the most advanced technologies in the world for the regeneration of your body and mind. For example, plant-based air purifiers eliminate the pollutants that normally exist in traditional homes. 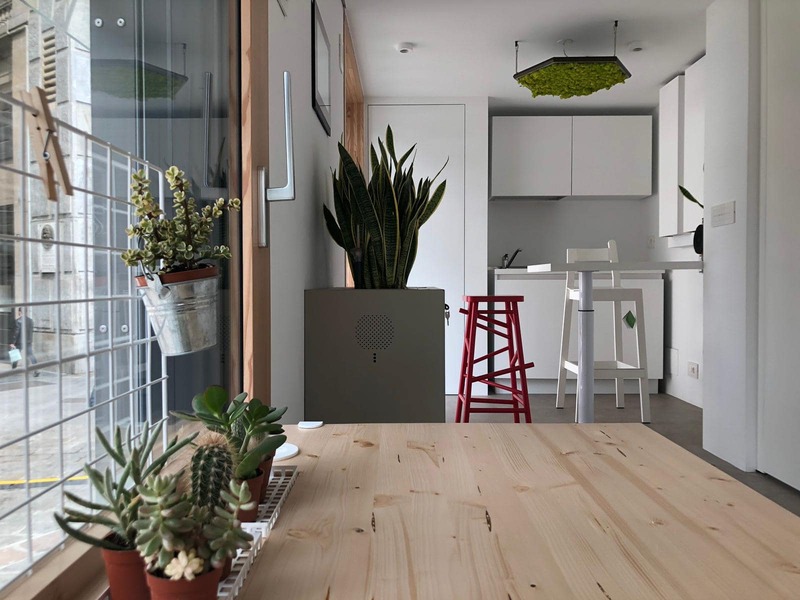 Toxic substances, such as formaldehyde and benzene – which are present in traditional homes – are expelled in a completely natural way, improving the quality of the air. 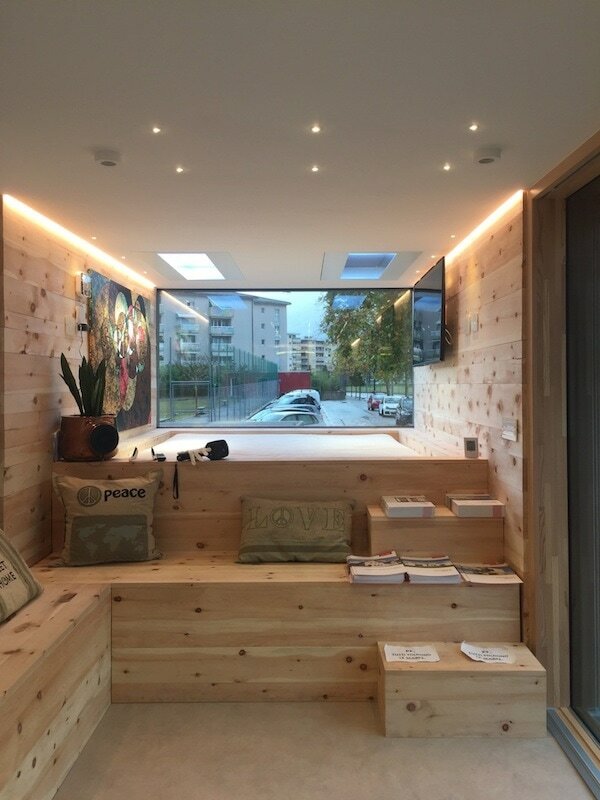 The natural materials used for the coating isolate the module from noise pollution, another common source of stress, creating instead a feeling of safety and relax. And with regard to the lighting of the environments, Olev has been chosen as main partner of the project. In a house designed specifically for the well-being, paying special attention to visual comfort and the effect of light on the physiology was more important than ever. 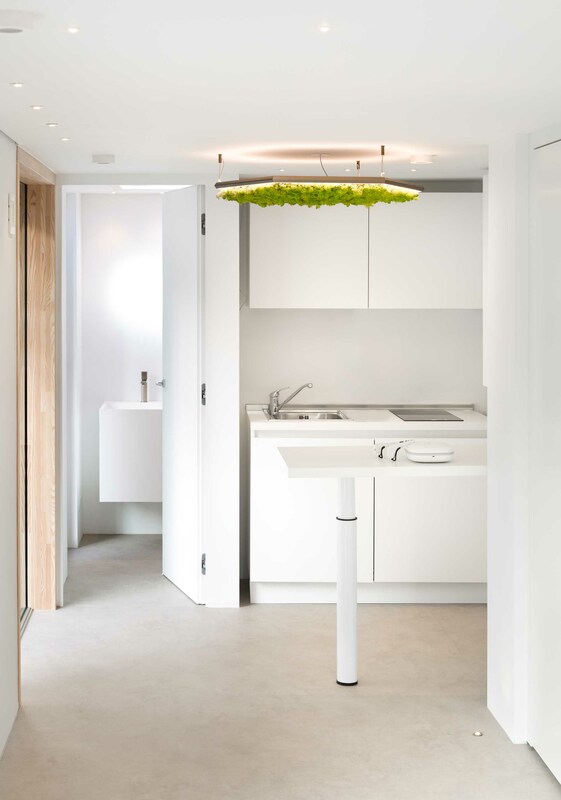 For this reason, we illuminated the interiors of the housing module with the most advanced LED technology that adjusts to the psychophysical needs of the people, changing intensity and colour according to personal preferences or the time of day ->more info here. 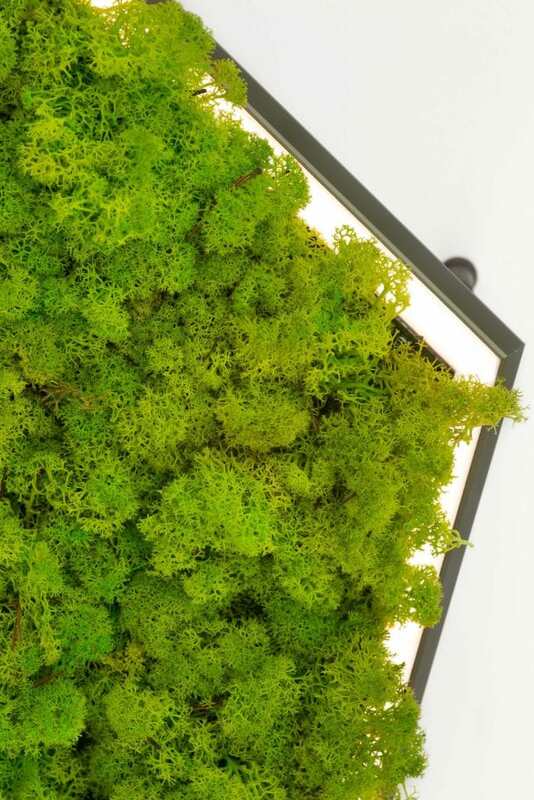 Exagon Silence Green is the lamp chosen for the lighting of Biosphera 3.0, which contributes to restoring the human body and mind inside the housing module. Exagon Silence Green adjusts the light intensity automatically, according to the time of the day. 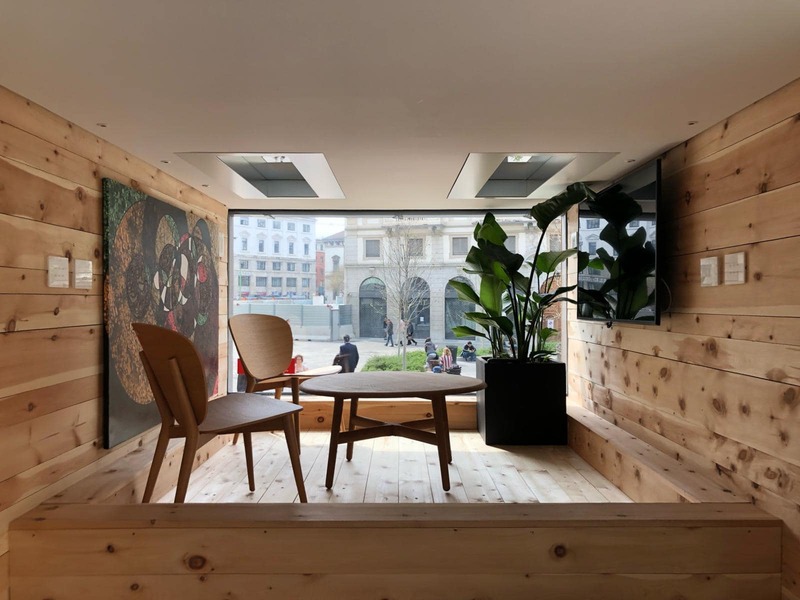 This is a specific technology, which follows the natural light and its variations to increase the psychophysical well-being by recreating the lighting conditions of an outdoor environment. 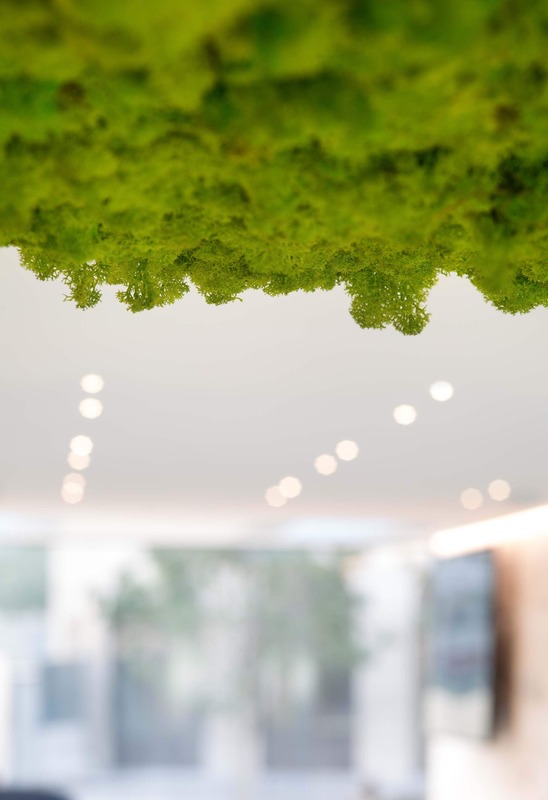 Inside Biosphera it is possible to experience the feeling of an entire day spent outside, from dawn to dusk. 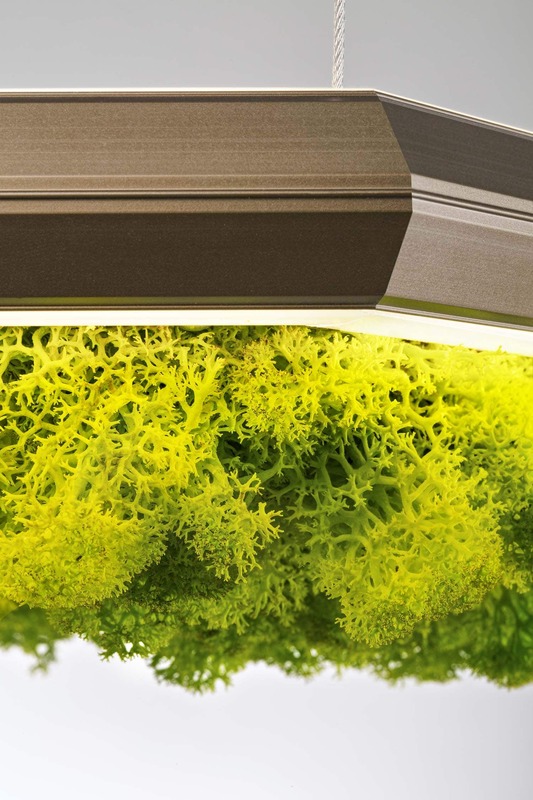 The sound-absorbing panels with natural lichen placed inside the lamp reduce the noise in the surrounding environment. The inauguration of Biosphera 3.0 took place on October 10th 2018 in Milan, followed by a series of Roadshows through Italy, Switzerland, and Germany. 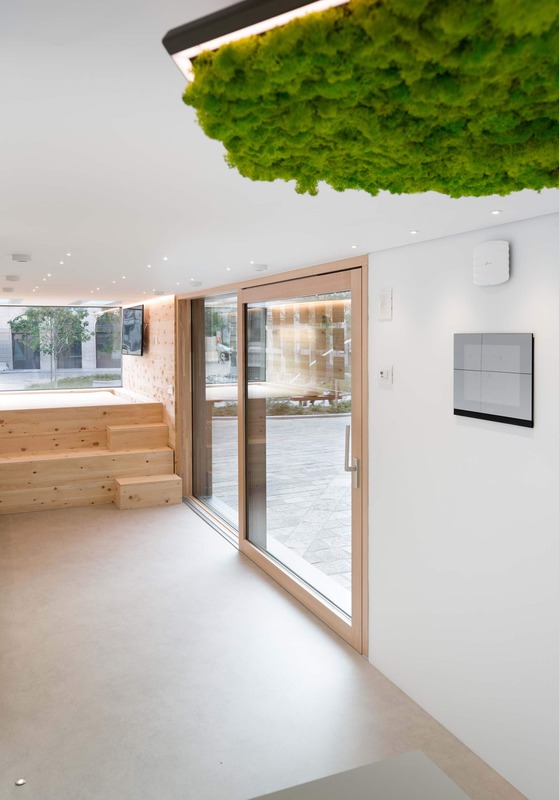 Those attending had the opportunity to visit the housing module and follow the convention of the Scientific Committee dedicated to the most advanced technologies for the well-being that have been developed in architecture and design.